Over 100 tech firms, including Google and Apple, have joined the legal battle against President Trump’s travel ban. They argue that the restrictions interfere with hiring and business operations. For an industry dependent on immigrants, the case represents a fight for survival. 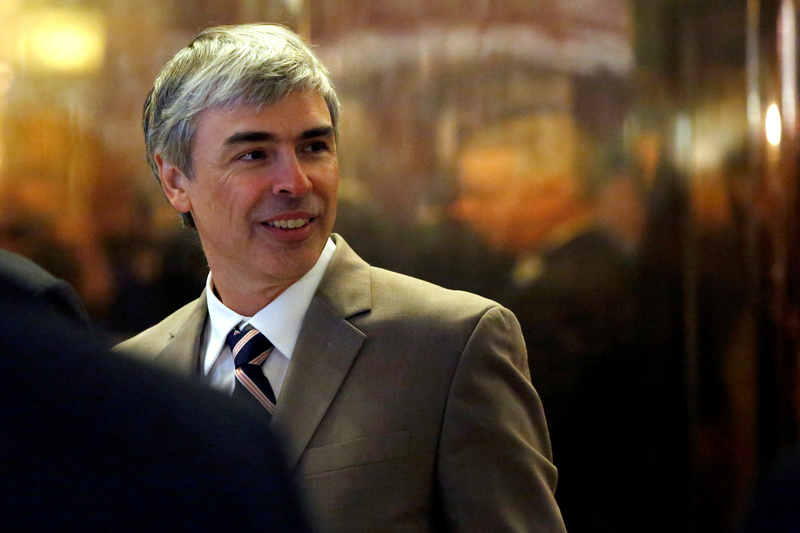 Larry Page, CEO and Co-founder of Alphabet enters Trump Tower ahead of a meeting of technology leaders with President-elect Donald Trump in Manhattan, New York City, U.S., December 14, 2016. Over 100 companies have signed an amicus brief in the U.S. Court of Appeals for the Ninth Circuit against President Donald Trump's executive order that barred for 90 days the entry of nationals from seven predominantly Islamic countries. Composed predominantly of technology firms, the list of signatories includes Apple, Google, Facebook, Intel, Salesforce.com and Tesla. Alphabet, Google's parent company, is providing the funding for the challenge, according to Bloomberg. A court in San Francisco issued a stay against the order on Feb. 3 after Washington state's attorney general sued to block the travel ban. The Trump administration is challenging this stay in the Court of Appeals. Both sides are due to argue the case in a telephone hearing before a three-judge appellate panel on Tuesday. The brief says the court should deny the administration's appeal because the order unlawfully discriminates on the basis of nationality, is arbitrary and harms the competitiveness of American companies. "The Order makes it more difficult and expensive for U.S. companies to recruit, hire, and retain some of the world's best employees," it states. "It disrupts ongoing business operations. And it threatens companies' ability to attract talent, business, and investment to the United States."